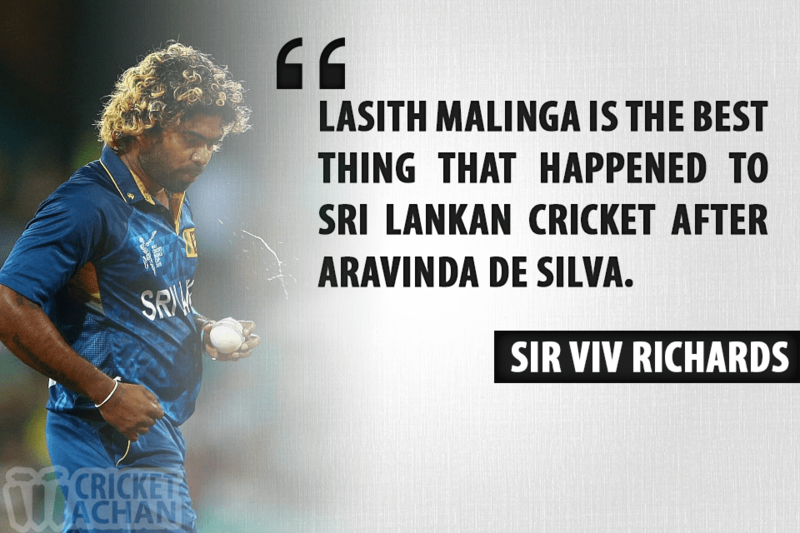 The Sri Lankan pocket rocket, Lasith Malinga, is well-known for his lethal yorkers. Though the green eyed media in Sri Lanka suffer from Malinga-phobia, great players all over the world reserve great respect for the Lankan star. 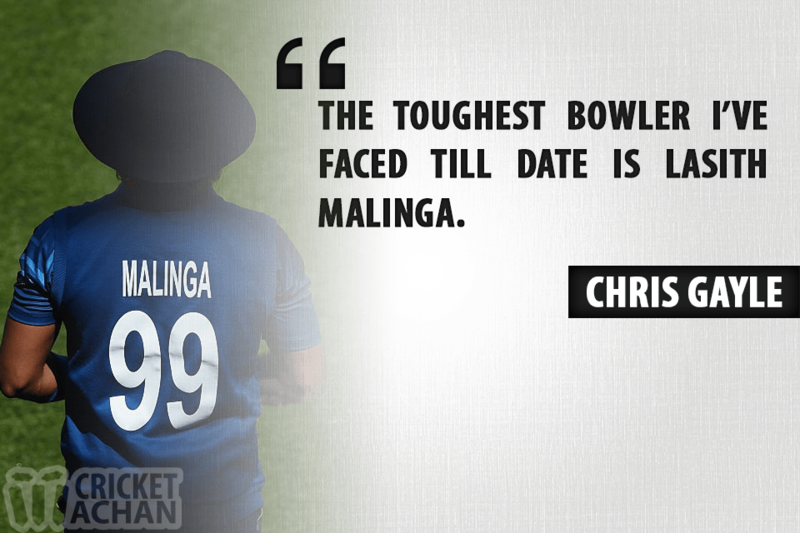 We have curated the best 5 quotes on Lasith Malinga. Lasith Malinga chose Mumbai Indians over his home team, Southern Express, in the Champions League T20 tournament in 2014, but haggled with the administration to make sure his home-team mates were paid well. Malinga also negotiated with the admins to pump the money his home team would be getting from Mumbai Indians into expanding the facilities at the R Premadasa Stadium. 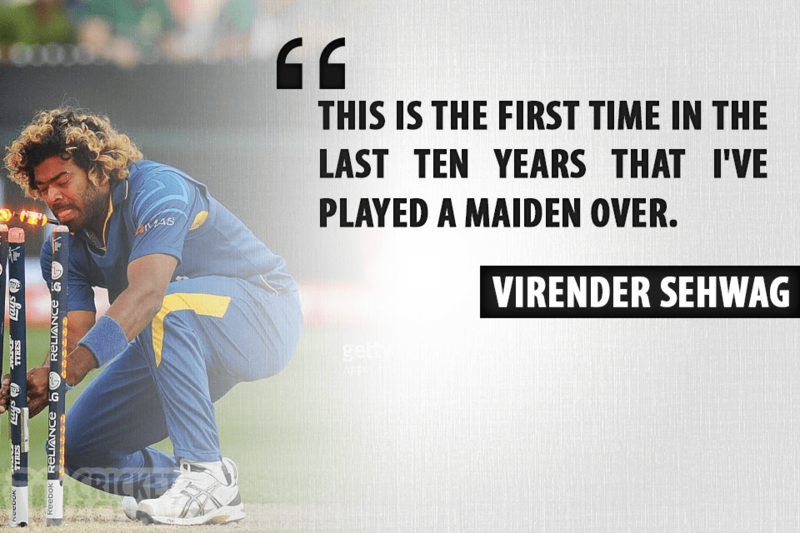 Malinga’s exceptional spell forced Virender Sehwag to play out a maiden over against him in the IPL in 2011. Viv Richards was full of praise for the Slinger after his exceptional performance in the 2007 World Cup. Chris Gayle, a batsman feared by most bowlers, said he fears Malinga the most. Lasith Malinga dismissed Sachin 4 times in 17 innings with the most notable dismissal being the wicket of him in the 2011 world cup final. 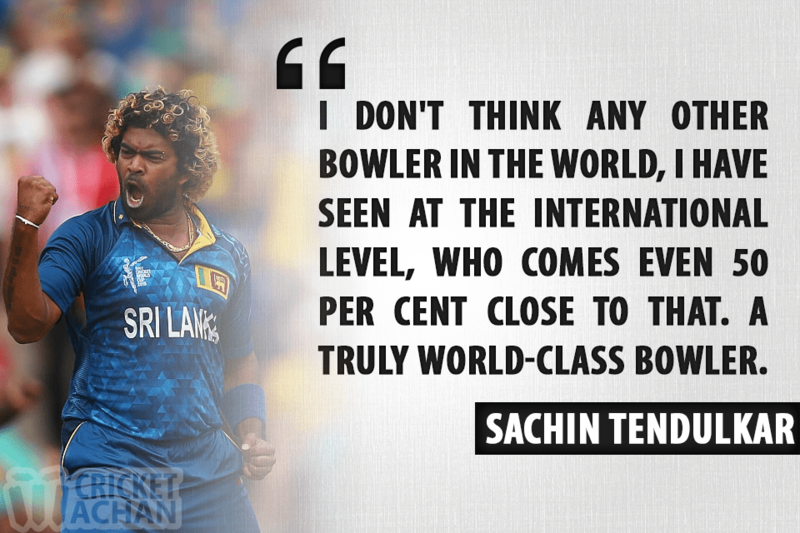 Sachin Tendulkar called Malinga “a true champion”.